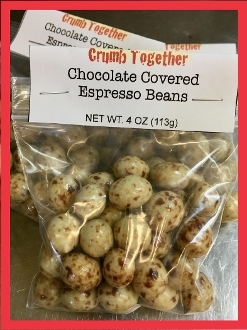 Chocolate Covered Espresso Beans make the perfect compliment to an order of gourmet cookies. These irresistible snacks are just $3.50 for a 4oz pack (approx. 35 beans) that can be added to any order. Add one or add many, you won't be able to get enough.